If you sleep as hot as I do at night, then you know that a mattress with ‘cooling technology’ is often not enough to ward off the heat. This is especially true with modern foam mattresses. Cooling gels and aerated foam don’t actually cool a bed that much. To sleep more comfortably and sweat-free, you sometimes have to invest in a quality cooling pad. There are dozens of brands available, but none provide quite the cooling punch of the Chilipad Cube. 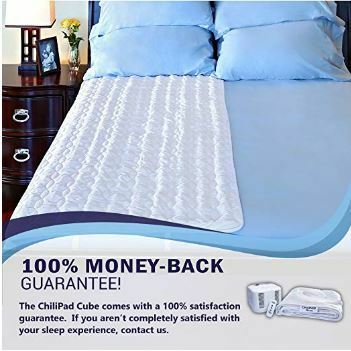 That's because the Chilipad Cube uses water to keep you comfortable at night. It circulates cool or hot water through small tubes next to your body and lets you sleep at exactly the perfect temperature all night long. The Chilipad is not just for people who sleep hot, it’s also great if your feet tend to freeze at night or you live in a cold area. The Chilpad distinguishes itself from other powered cooling pads/comforters in its ability to maintain an exact temperature all night long. You can set the temperature to remain at any point between 55F and 110F. Keep reading this review to learn about the pros, cons, best features and known issues of the Chilipad Cube. Wide temperature range –ideal for both cooling and heating. Dual and single zone options. Easy to control using the wireless remote. Heats/cools faster than a traditional heating pad with embedded wires. Saves you more energy compared to relying on your HVAC to cool or warm you at night. The main unit tends to heat up the room. You can sometimes feel the tubes inside the pad. 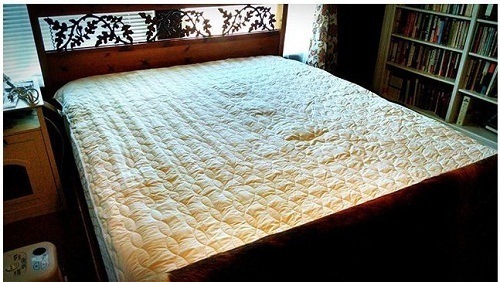 Most mattress pads use embedded wires to warm the bed. Others like the BedJetuse cooled or warmed air. 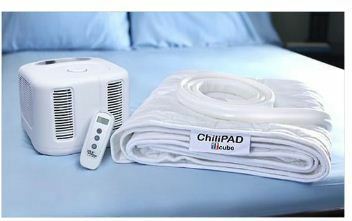 The ChiliPad uses water, instead - it warms or cools water and then pumps it through silicon micro-tubes in the pad. Using the wireless remote control or the buttons on the cube, you can set your preferred temperature anywhere between 55-110F. Surprisingly, though, the unit doesn’t come with an adjustable timer - a basic feature in almost all heating/cooling pads. Hot sleepers know how frustrating it can be to find a cooling solution that actually works. Cooling pads that use gel, latex foam or special materials like bamboo don’t really help if you sleep extra-hot or live in a hot climate. But ChiliPad Cube works. In fact, if you are not careful about the settings, it can get too cold. Customers who sweat a lot at night or experience hot flashes say it has greatly improved their sleeping experience. It can also help you sleep better if youlive in a cold climate or you tend to freeze up at night. The water circulated through the tubes can get up to a toasty 110F, warming the bed and your body. 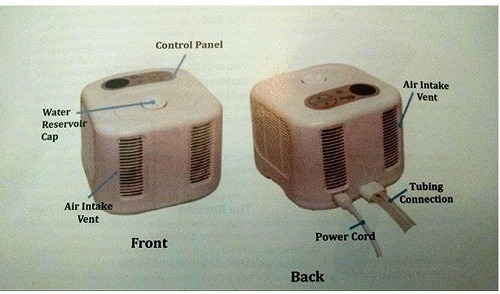 Note that there is no zoned temperature control. If it’s just your legs that get coldyou cannotwarm up just the lower part of the pad. 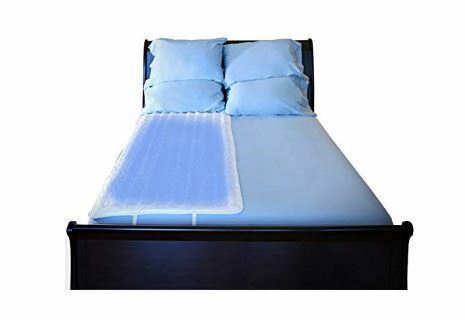 For couples, there is the option of buying a dual zone pad for Queen and King sized beds. The package includes two cubes, one for each side of the bed. Each cube can be controlledindividually, allowing you to set different temperatures. The pad doesn’t change how the bed feels. It will still feel as soft or firm as it did before you got the ChiliPad Cube. The tubes are small and soft to ensure you don’t feel them under the poly-cotton pad. A few customers said they could feel the tubes but most slept okay. Even if you do feel the tubes, it’s only slightly and they don’t feel as uncomfortable as embedded wires in some mattress pads. The company recommends setting up the pad under a fitted sheet to make it more comfortable and keep it in place. There is also a strap goes around the mattress to prevent the pad from shifting at night. The company recommends adding a ¼ cup of hydrogen peroxide to the water once a month to keep the system clean. Check your user manual for the exact cleaning procedure. You should also wipe down the outside of the cube regularly and check that the intake and exhaust vents are not clogged. As for the pad itself, you should only wash it in a frontloading machine using cold water. Wash on a gentle cycle and dry on the ‘No Heat’ setting. The cube goes on the floor next to your bed. It should be a flat firm surface (no carpeting). Make sure there’s at least 24 inches of clearance of space all around it to allow air intake and hot air exhaust. Do not put it under your bed. Before turning on the cube, make sure you’ve added water to the reservoir and connected the hose to the cube. The company recommends using distilled water. This is presumably to avoid the buildup issues caused by hard water. If you have to use normal tap water, clean out the cube more regularly. Too much buildup of mineral deposits can damage the cube and clog the small tubes. Something to note when you are adding water: Turn the unit on when the water reservoir fills up. The water level will go down immediately as the water is pumpedthrough the system.Keep adding more water until the reservoir fills up again. The padgoes under your fitted sheet. Use the included strap to secure it around the mattress and keep it from shifting when you turn at night. Be careful about bringing any sharp objects near the pad. The tubes are soft and easily punctured. So while the ChiliPad is generally safe for pets, make sure their claws won’t damage the tubes. I also suggest putting a waterproof mattress protector under the pad in case of a leak. Finish set up by connecting the cube to a standard outlet and switching it on. Use the remote control or the buttons on the cube to set your desired temperature. The remote control is wireless. Before you use it, you have to sync it to the cube. With the cube plugged in, hold the ON button for 5 seconds until you hear a long beep and the small display reads 888. Press the ON button on the remote control and it will automatically pair with the cube. A short beep confirms successful pairing. You’ll also see the current temperature on the cube and remote displays. The remote control has three buttons: on/off, warm and cool. In case the remote malfunctions or the batteries die, you can access the same functions using the buttons on the cube. As I mentioned, you can adjust the water temperature between 55F and 110F. But there is no timer function, which is a huge downer.Some people prefer warming the bed only for the first couple of hours to avoid waking up in a sweat in the middle of the night. Others prefer turning off cooling as the night progresses and temperature goes down. The Cube will only turn off automatically after 10 hours. The Cube produces a mild fan sound that sounds like white noise. You won’t notice it most of the time. But if it bothers you, you’ll get used to it quickly. Once you sleep, it is not loud enough to wake you up. In the second generation ChiliPad, the company has gotten rid of those annoying lights that never turned off in the original unit. In this one, indicator lights automatically go off after a short time. 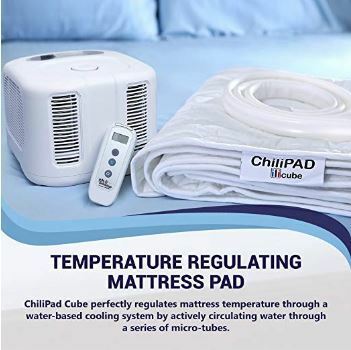 The ChiliPad Cube works best in a room with moderate temperature. So do not turn off your thermostat. This unit is not a replacement for whole-room climate control. Once you select your desired temperature, the Cube will try to maintain it. The actual temperature may be affected by ambient air temperature, humidity and Cube placement. The pad reaches the desired temperature faster compared to a traditional heating pad. But if you want it to be perfect when you get into bed, turn it on and set your preferred temperature half an hour before you sleep. For the best results especially when you are warming the bed, cover yourself with a blanket or comfort. This will provide insulation, trapping heat in the bed and warming you up more effectively. Because of temperature differences between the pad and ambient air, you may sometimes see wetness on the pad because of condensation. Either lower the thermostat or increase the Cube temperature to get rid of it. The first generation ChiliPad Cube would have earned a lower rating. But they’ve made many great improvements in the new Cube. It works faster, is easier to use, produces less noise and those annoying lights are gone. The dual zone control is an excellent solution for couples who have different sleeping preferences. We also love the easy set up process. However, you may have trouble finding a good place to place the cube especially if you have a small bedroom. Remember you cannot set it up under the bed. 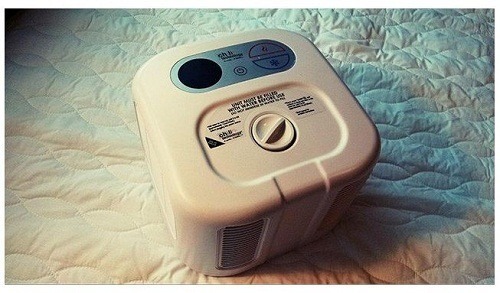 But overall, the ChiliPad cube is a great solution for anyone who gets too cold or too hot at night. And even if you are in neither group, it may still come in handy during the hot and cold seasons. Generally safer compared to traditional heating pads. The exhausted heat can sometimes make the room too warm. Cube placement may be a challenge for smaller bedrooms. 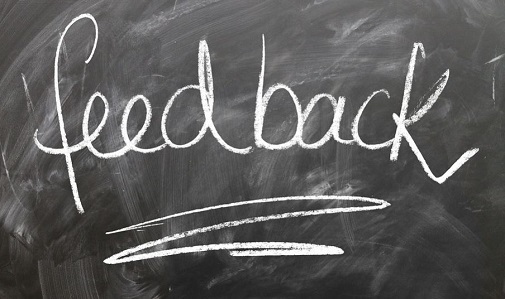 The second generation ChiliPad Cube has much more positive customer feedback compared with the first version. With the older unit, customers complained about the bright lights, loud beeping noises and unreliable temperature control. Buyers of the second generation ChiliPad say it works brilliantly. It only gets as warm or as cool as you want it to be. It is especially beneficial for users experiencing hot flashes and night sweats. Those who live in hot areas also say it has greatly improved their sleeping experience. The mattress pad and the tubes have a 90-day warranty. The main control unit, the Cube, has a 2-year warranty. The second generation ChiliPad Cube can be purchased on the original manufacturer's website or on Amazon.com.